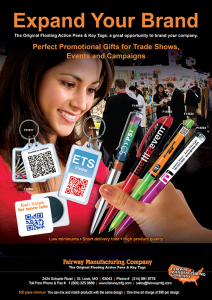 Trade show give aways continue to be popular to draw attention to your product or company. An Original Floating Action Pen with a unique custom design is certain to raise attention from the customers towards your specific message. 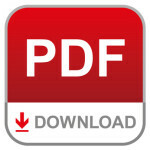 Or why not combine it with a QR code with a direct link to your company profile or brochures. Many companies abandon printed leaflets etc. and in stead you can use QR codes in your trade show give-aways. Contact us today for a FREE quote for Custom Floating Action Pens for your business today! Want more information on our pen designs & products, please visit our other site at Fairway Manufacturing Co.